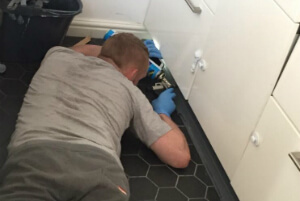 Domestic & Commercial Pest Technicians Croydon CR | Quality Property Care Ltd.
Quality Property Care Ltd. offers professional domestic and commercial pest control services to all in Croydon CR and the area. We can take care of a wide variety of pests, including flying and crawling insects, and rodents. The pest control technicians are all vetted, experienced and certified. We provide expert pest treatment, prevention and inspection at the best pest control price you can find. You can easily resolve any kind of nasty infestation, and make sure it doesn’t reappear by choosing the professional pest control services of Quality Property Care Ltd. right away. Quality Property Care Ltd. have a 95% success rate with any kind of pests. We have an experience in crawling insects, flying insects, rodents, and other unwanted species and kinds of animals. Whenever we can we relocate the pests. If it's not possible to do this, we act fast and humanely to get rid of it. If you arrange your pest removal with us, you can expect a follow up visit. Every treatment we use has a 3 month guarantee - it will keep your domestic or commercial premises safe up to 3 months. Our pest removal service is not hourly based. We will work until the job is completed and you are satisfied. We get all of our equipment and supplies from certified suppliers in the UK specialised in PEST control related products. With more than 15 years of experience, a team of experts and the proper supplies, we guarantee satisfactory results, no hassle and no more pests. We will remove ants, bedbugs, cockroaches, woodworms, fleas, silverfish, dust mites, wasps, rodents, squirrels, moths, rats, pigeons, bee, flies and more. The pest control service is faster and easier if the infestation is small enough and you have called soon enough. However, if there's already a rat nest, we need to approach with a more permanent treatment. Our pest specialists locate their entrance points, then eliminate any food leftovers and plug the access points into the house. To catch the rodents the pest control professionals use non-lethal traps and glue pads with decoy food on them. The traps can sit for a couple of days. If you’ve booked a follow up procedure the experts check to see how effective the traps were and remove the pests from your property. Otherwise, you might have to do that yourself. Don`t hesitate to contact us anytime and for any questions. 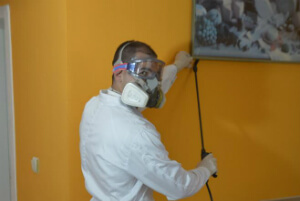 You have a serious home or commercial pest problem and we fully support and understand you. This is why we will work fast and make everything we can to drive the pests away and keep them afar for the future. The pest technicians will apply different poisons and baits depending on the pests. All procedures are safe, but it is better for you to be away from the premises. Don't worry, the professional pest control service in Croydon CR is 100% insured and the pest technicians are vetted. To book the professional pest control service you need, ial 020 3746 4287 or fill in the online booking form. The customer assistants will process it immediately. No deposit is needed for booking. The prices are fixed, and there are no hidden fees. You pay after the service is delivered. . Get rid of all the annoying and nasty pests, and book your professional pest control service now!